The 2013 ASTC Annual Conference will be held in Albuquerque, New Mexico, October 19-22. This year’s Youth Programs track is full of excellent sessions, listed below, that focus on skill building for individuals, highlighting ready-to-use strategies and lessons learned from a variety of youth-related programs. There are even two youth-led sessions in the program this year! Please click on any of the session titles below to access full session details. In ASTC’s Annual conference 2012, ASTC held a conference session for youth. 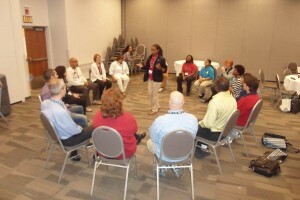 ASTC has been offering sessions regarding Youth Inspired Challenge member’s programs since 2011. Youth and adolescents is precious resource for tomorrow’s world and it is important to inspire youth and expand their roles in STEM fields. 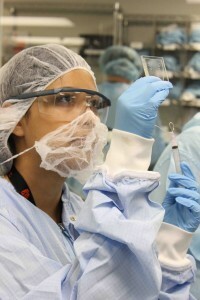 Science centers have been strengthen and developed assets of youth. To Strengths and develops of youth programs and address critical needs for youth and their community, teen participants from six institutions highlighted their programs in the conference. The New Jersey Academy for Aquatic Sciences participates as a session leader and the director or manager of COSI, The Franklin Institute, Pacific Science Center, New England Aquarium, Science Museum of Minnesota and California Academy of Sciences participate as a presenters. By addressing their information to others, other institutions could get good resource from them, and get some idea how to change their programs for youth and community. ASTC recently began sharing students’ research and experiences at the Annual Conference to expand the role of youth and strengthen the connections between ASTC and the youth programs. 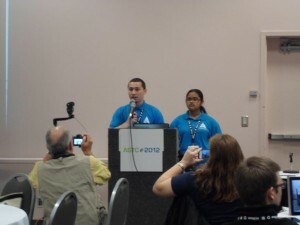 At the 2011 conference, ASTC held a student session to allow youth to hear their voices and the voices of their peers. Youth development programs have grown in popularity and variety, with one constant being the positive impact they have on the lives of the participants. 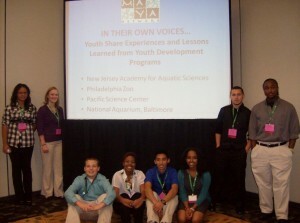 During this immersive conference session lead by the director of the New Jersey Academy for Aquatic Sciences (NJAAS), presentations were made by the manager of NJAAS and youth participants ages 15-20 from Philadelphia Zoo, NEW JERSEY ACADEMY FOR AQUATIC SCIENCES, NATIONAL AQUARIUM, BALTIMORE, PACIFIC SCIENCE CENTER of MAYA! Regonal Network. Their presentations focused on personal experiences, lessons learned, recruitment, and the overall changes in individual lives. With participating youth and program alumni in attendance, students and ASTC members were able to expand their network to not only science centers, but to science, technology, engineering, and math (STEM) professionals in their communities and beyond. 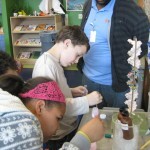 The Kentucky Science Center in Louisville, Kentucky (formally the Louisville Science Center) is committed to expanding its capacity as a leader in science, technology, engineering and math (STEM) education. The Kentucky Science Center’s Youth Infusion Board is a leadership development program for high school students ages 16-18. The program offers students an opportunity to develop their decision making skills, improve their ability to work on committees, and gain experience in community based science literacy programs. 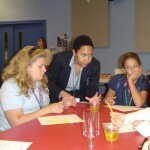 During the 2011-2012 school year, members of the Youth Infusion Board served as community ambassadors to advance the Kentucky Science Center’s science literacy campaign. The board acted as the primary link to the community and was essential to the science center’s mission to encourage people of all ages to incorporate science into their everyday lives. 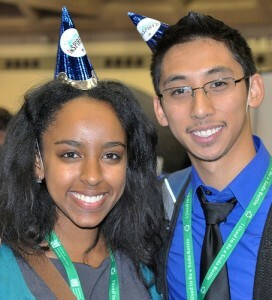 Each year, the Youth Infusion Board also plans and organizes the Youth Science Summit. This year’s summit in Louisville will include dialogues on hot science topics, interaction with leading STEM professionals in speed mentoring sessions, hands-on industry labs, and advocacy for STEM advancement. The Connecticut Science Center in Hartford, Connecticut introduced a new youth development program last summer called Teen Robotics. The program provides hands-on experience with math, science, and technology concepts and principals and is open to high school students ages 16-18, as this is a very important time for determining future career paths. Teen Robotics is a six-week paid internship program during which the participants facilitate public programs for visitors using robotics projects they have designed. Interns work as a team to program various robot models and design activities to engage museum visitors. 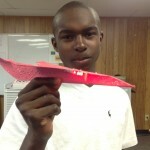 Last year, twelve students participated in the Teen Robotics program. By interacting with science center visitors, the teens provide positive role models to younger students interested in science, technology, engineering, and math (STEM). Having the opportunity to present their own robots was a great motivator for the Teen Robotics interns as well. By the end of the program, the interns realized that the visitors themselves create layers of the museum experience, and noticed the differences in visitor experiences by age, gender, and various parent-child dynamics. All of these factors were used in the process of developing, pilot testing, and launching the floor programs the team of interns had developed. The teens also highlight their programs during the year by working with the public in the exhibit galleries. Based on last year’s success, the Connecticut Science Center is trying to expand the Teen Robotics program to middle school students, as well as expand the program to engage teens in other STEM fields beyond robotics. The Sci-Quest Hands-On Science Center in Huntsville Alabama hosts a conference as part of the Expanding Your Horizons (EYH) program. The conferences are for middle and high school girls with the goal to inspire girls to pursue careers in science, technology, engineering, and math (STEM). Conferences in the EYH network are hosted in 31 US states as well as in Europe and Asia. Sci-Quest’s conference provides access to STEM role models and hands-on activities while nurturing confidence and encouraging girls to persevere in STEM coursework. Sci-Quest offered local girls five different conferences from which each was able to choose two to attend. Last year, Sci-Quest’s EYH conference had its biggest turnout yet with 1,317 middle school girls and 105 teachers and chaperones in attendance. Each day featured a keynote presentation by a female professional in a STEM field to introduce a range of careers to the students in attendance and encourage them to continue to explore STEM areas. All speakers at the conference shared stories of their own paths to STEM careers, what success means to them, and reminded girls that there are no boundaries to what they can grow up to be. The conference also featured a lunch panel with three female professionals discussing high school and college experiences, what their jobs are like, and how they maintain a good work-life balance. 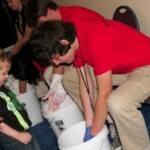 The Orlando Science Center’s youth volunteer program, Student Science Stars, is open to students ages 13-17, with volunteer opportunities available throughout the year. For example, during the school year, the “Red Giants” are volunteers who give scientific demonstrations to visitors and help in exhibit halls. 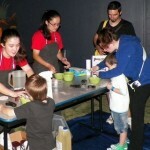 During the summer, youth volunteers assist the traveling exhibits, help with camps, and lend a hand during the Orlando Science Center’s special events. Last year, nearly 110 students participated in the Student Science Stars program, sharing their science knowledge with visitors for an average of twelve hours per week. The program has also started offering a two-tiered system for participants who have shown exceptional dedication to the program. Through this system, volunteers can have added responsibilities and further develop the skills they’ve gained while volunteering. 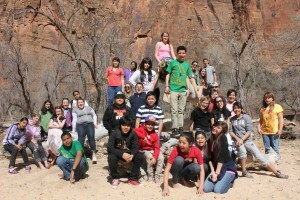 The Natural History Museum of Utah in Salt Lake City began its 19th annual Youth Teaching Youth (YTY) program in the fall of 2012. 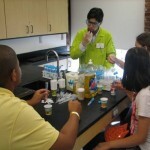 The YTY program is a science outreach and enrichment program open to middle and high school students. In the program, which lasts through the school year and into the summer, students teach science while working toward personal and academic goals through a variety of enrichment and team-building activities. The YTY middle school students teach local 4th grade science classes while the high school students serve as program interns, with duties such as training new middle school student teachers and assisting classroom teachers with youth workshops and summer camps. New internship roles last year included creating a “wall exhibit” at the museum featuring YTY activities, collaborating with University of Utah graduate students in a 5-day Nano Summer Institute, engaging in field research with museum scientists, and planning and facilitating activities for the LEAP Into Science program, a national pilot expansion program that integrates science and children’s literature. The Natural History Museum of Utah has worked to expand internship and leadership roles for high school participants, and supported students as they make decisions about their futures, including post-high school education. This effort helps students clarify their own interests and develop skills that can transfer into future endeavors. The program also helps students develop a resume, work on interview skills, and explore college opportunities. More than 600 youth participated in the YTY program last year and many continue to study and teach science while working toward college and career goals. 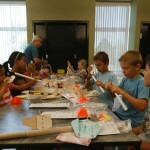 The McAuliffe-Shepard Discovery Center in Concord, New Hampshire offers hands-on summer space science camps for youth ages 5-17 for six weeks each summer. 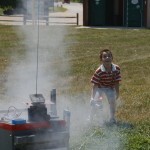 There are several different camps with new topics and activities added every year. This year, a new program opened where youth ages 6-12 join an international expedition concerning global challenges. 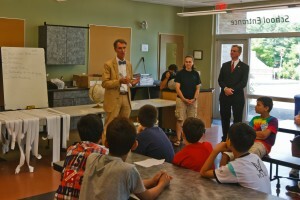 The summer camps are just one example of a variety of inspiring youth educational science, technology, engineering, and math (STEM) programming offered by the McAuliffe-Shepard Discovery Center. Efforts are made to support underrepresented groups wishing to participate in such programming as well. In 2012, the center was able to raise funds for camp scholarships and transportation though an auction, gala, and a foundation grant. The scholarships were made available to the youth of Concord’s New Americans community, a community of resettled refugees. Through the scholarships, Bhutanese children were able to participate in STEM summer camps with their peers. The youth participating in the summer camps delighted in the wealth of hands-on activities, such as building and launching rockets and creating protective landing gear for a simulated Mars landing. It was a great experience for everyone involved. The EdVenture Children’s Museum in Columbia, South Carolina has a daily after school program called ASPIRE that focuses on science, technology, engineering, art, and math (STEAM) activities. In the program, middle school students meet for one hour a day to explore topics such as health and wellness, physics, biology, and civic responsibility. In addition, ASPIRE offers bimonthly projects that utilize the scientific method to help students develop their processing and creative thinking skills, with experts in various fields from the local community acting as mentors. 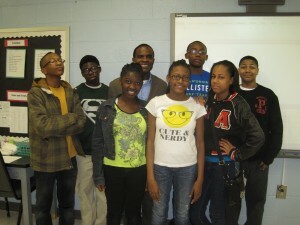 Last year, 108 students participated in the ASPIRE program and completed several projects. On the museum’s Future Leaders Day, students mentioned that there was a great deal of bullying and gang activity at a nearby middle school. The ASPIRE students decided to design and implement a distance learning project on bullying, gangs, and diversity to share with the students in the other school district. After extensive research, the ASPIRE students developed surveys for the other school’s students and faculty, using their science, research, and presentation skills to enlighten their troubled friends. The project was very well received and the recipient students and faculty were incredibly grateful.